Placement of gypsum blocks follows the same strategy that is used with tensiometers. One block is placed in the middle of the fibrous root zone and another below this zone. 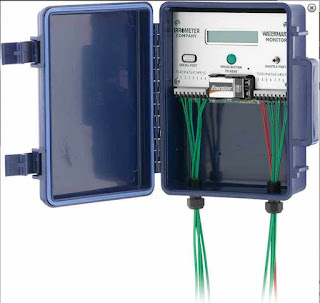 The upper block indicates when irrigation is needed, and the lower block determines when to turn the irrigation off. 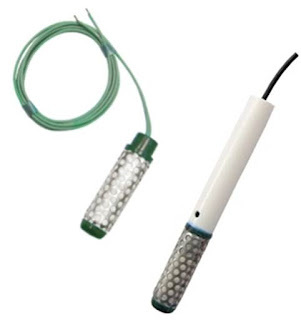 There are other types of soil moisture sensors. The principles behind these sensors range from simple to sophisticated. The most inexpensive type of moisture sensor follows the principles of a galvanic cell e.g. a battery. The shaft of the instrument is made of one metal and the tip of another, often copper and lead respectively. 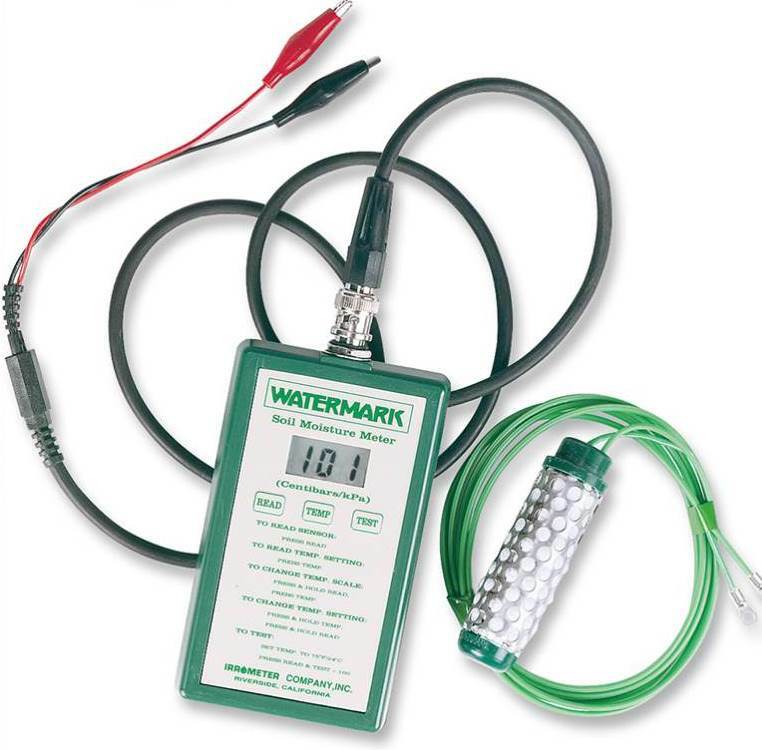 The soil water functions as the electrolyte facilitating the movement of electrons from one metal to the other. 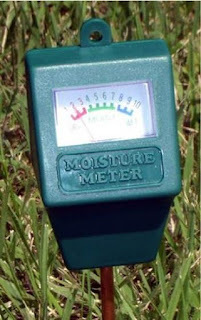 High meter readings are associated with high soil moisture and low readings with low soil moisture (Figure 5). One note of caution about these meters. They are designed to take a soil moisture reading and be removed from the soil. If left in the soil the "battery" will continue to discharge and the meter will quickly become nonfunctional. What can you expect from a meter that might cost $8? There are more robust meters with greater capacity due to more metal but they are significantly more expensive. 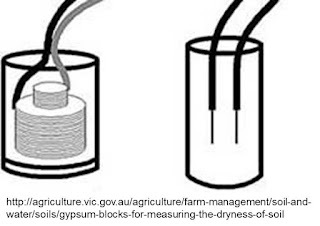 Other soil moisture sensors utilize other principles of physics to measure soil water content. These principles are beyond the scope of this blog. Suffice it to say that they all use water as part of their "circuitry" and respond differently to different amounts of soil moisture. The information given herein is supplied with the understanding that no endorsement of named products is intended, nor is discrimination or criticism implied of products mentioned or not mentioned.